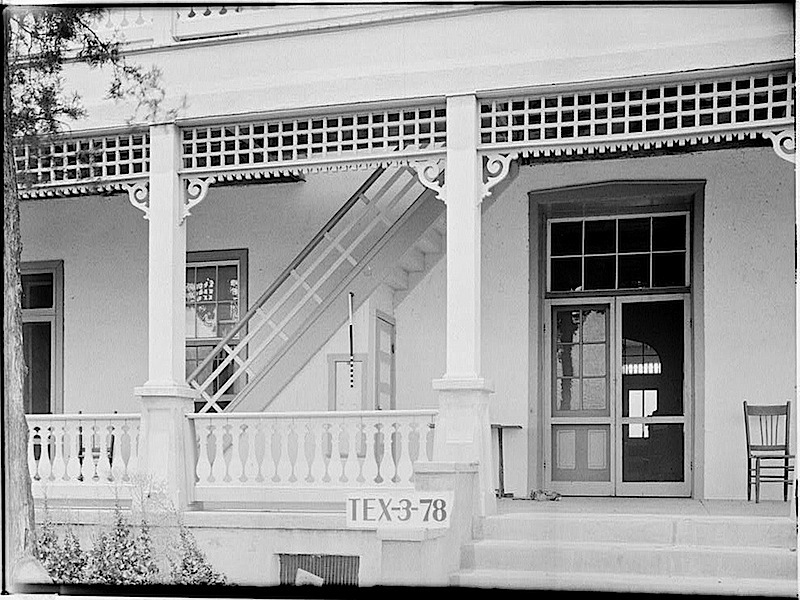 North (back) side of Rode-Kothe House, Cherry Spring, Gillespie County, Texas, May 29, 1936, by Richard MacAllister for an Historic American Buildings Survey (HABS), via Library of Congress Prints and Photographs Division (all three photos). South (front) side of house. The HABS says the limestone house was at least partly built in 1855 by German immigrant Dietrich Rode. (He completed it in 1879.) 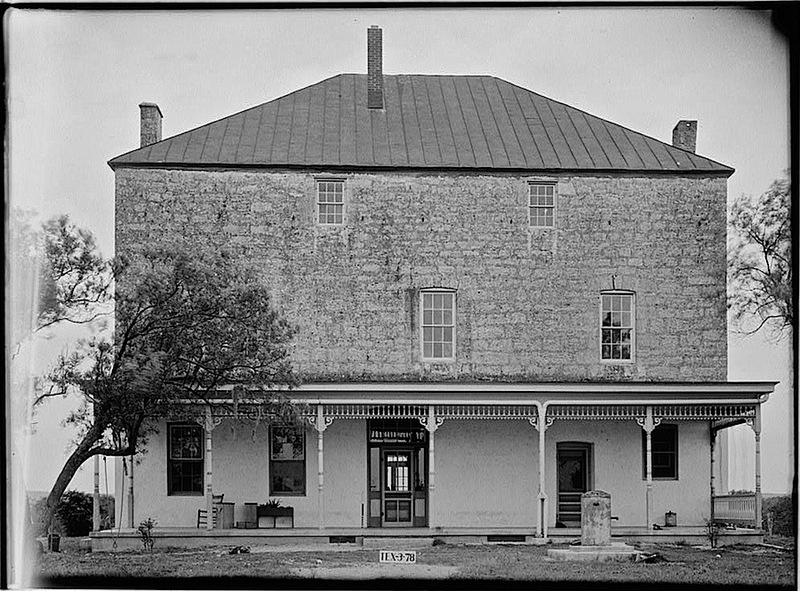 Rode was one of the founders of nearby Fredericksburg, as well as Cherry Spring. 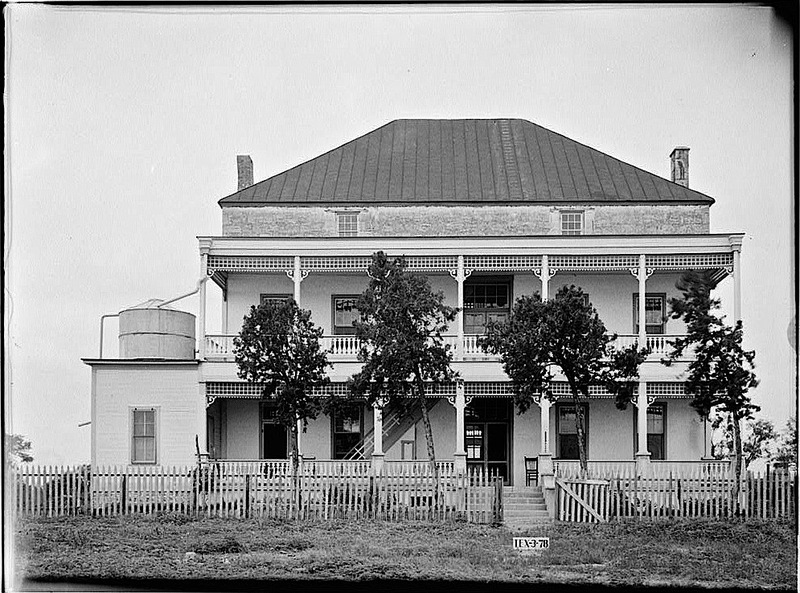 He was also a lay Lutheran minister and a teacher, first in his students’ homes at night and then on the second floor of his ranchhouse shown here. The house may still stand near Christ Lutheran Church, which Rode helped found, but I cannot find a current picture of it.